Designed and tested over the last decade in the rugged and demanding terrain of Canada's West Coast. Promac has the right Brush Mulcher for every application. 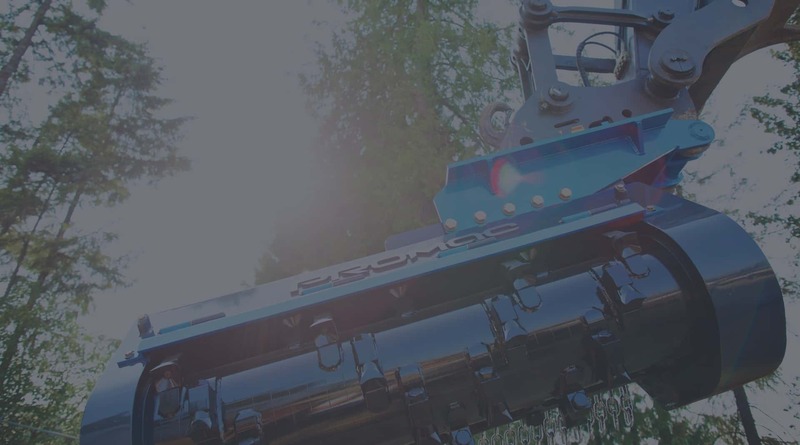 Promac’s engineering team has collaborated extensively with a wide range of customers to develop and test a line of excavator-mounted brush mulchers suited to the most rigorous applications and rugged environments. Our unique designs deliver superior productivity, durability and safety. Each unit has customization options and add-ons. We fully support our customers with quality parts to keep the machines running and our renowned Promac warranty, service and support. Light on weight but heavy on performance and durability. The standard in fixed tooth mulchers. Multiple cut widths, motor, tooling, rotor style and wear guarding options to suit the application.